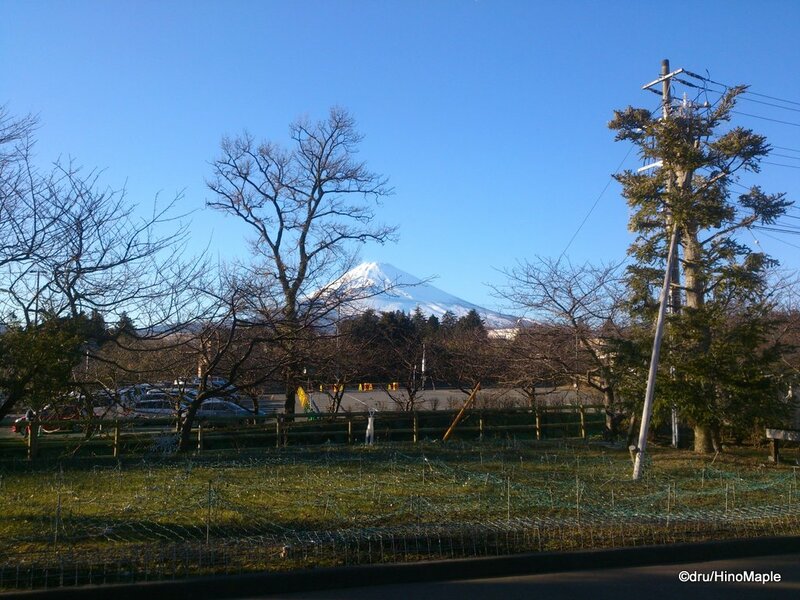 For the New Year holiday, I went on the annual trip to the Saviour’s hometown near Gotemba. It is a regular trip and we usually have sushi but this year we went to Gotemba Kogen Beer. 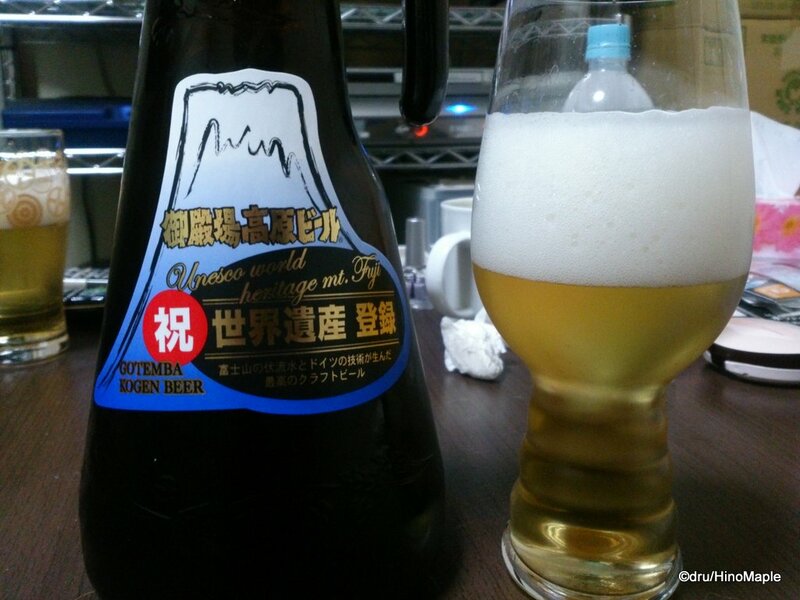 Gotemba Kogen Beer is a craft brewery that focuses more on local tourism. They have a large resort that tries to draw in a lot of local tourists. Being at the base of Mt. Fuji has a lot of benefits for this resort/brewery and they do play the image of Mt. Fuji in everything they do; they almost overdo it but thankfully they don’t. Gotemba Kogen Resort is a large facility far from the station and since I didn’t drive I have no idea on how to get there. Thankfully there is a shuttle bus that goes from Gotemba Station so that can help a lot. Instead, I was taken on a little drive around the side streets through the Gotemba area before we were a little lost trying to find the parking lot. Once we got there, it was a simple walk across the street and then into the resort area. During winter, there is a nice Christmas light display but since I was there only for lunch I didn’t get a chance to see it lit up. There are several places to eat with 3 main restaurants for your dining enjoyment. Yes, I know that sounds like an advertisement. :p I went to the Grand Table. It is a very German style beer hall. The tall roof and huge open hall were great and the lights strung up above made the room feel smaller than it really was. It was also a lot darker than I expected. Photos on the website showed a nice bright room, but it wasn’t very bright when I visited. Everything was set up so that it was easy to order food and beer. They have 5 regular beers on tap and 1 seasonal. I’m not sure about the 7th beer as it may or may not be a seasonal beer. The beers are almost all German in style with a Belgian thrown into the mix. I started off with their seasonal beer, a Golden Ale with a bit of an American twist. It was good but not my type of beer. I also had their Schwartz and Weizen Bock. The Weizen Bock felt more like a Belgian beer but since I’m not so familiar with European beer styles, I couldn’t say if it was true to style or not. Either way the quality of the beer seemed really good. The food was not too special. They have the standard German style food with some izakaya influences. 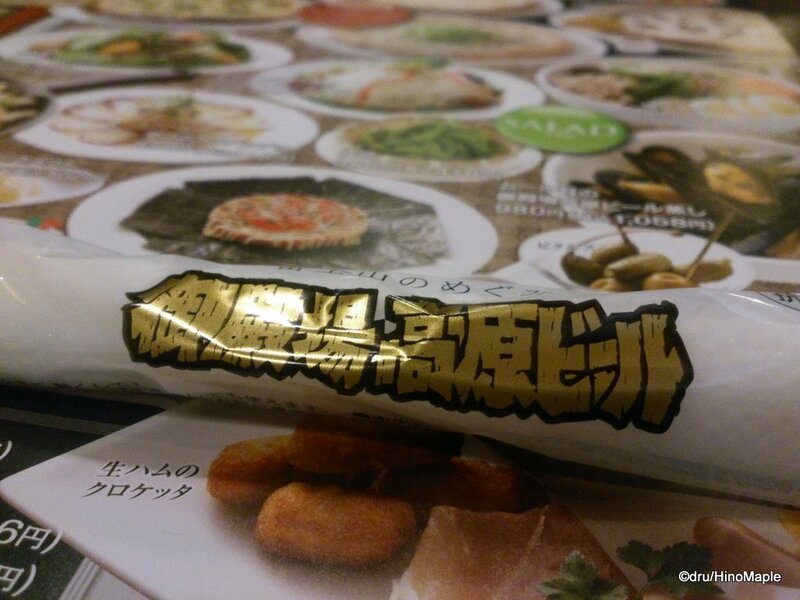 They do use local ingredients from time to time and you can get pizza and karage. It wasn’t exceptional food but it wasn’t bad food either. It did feel a bit like a theme park in the sense that the food wasn’t prepared with the care that a small restaurant can. Remember, the Grand Table is a huge beer hall so you can’t expect the best chefs to be working there, but they do a good job with what they have. Once you do finish eating and taking care of the bill, don’t forget to stop by the gift shop on the way out. It is a resort town so you can’t go anywhere without at least being told to buy something in every corner. 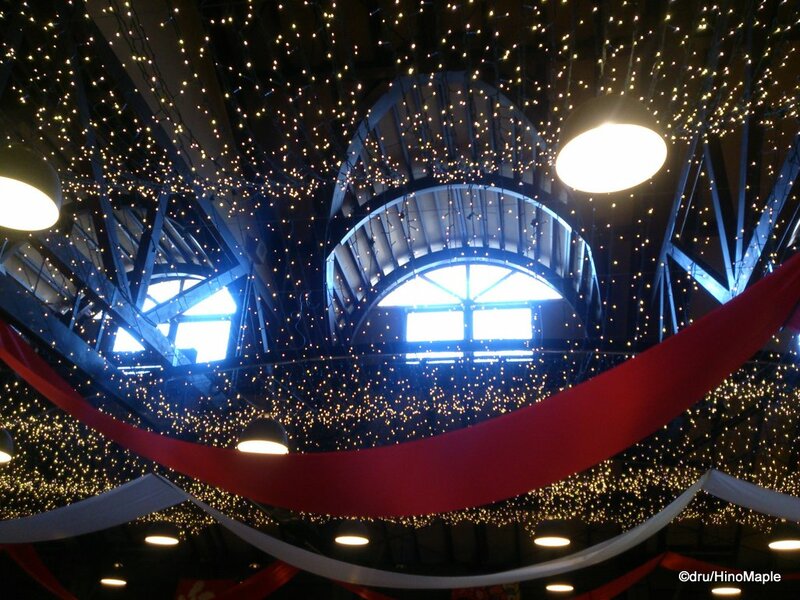 I wasn’t sad as I really enjoyed the shopping experience. They had standard cans of beer as well as a few bottles too. I believe the bottles are for seasonal beers too. They also had a special bottle of lager that came in a 1L growler. It was a typical triangular growler but they used it to emphasize that they are near Mt. Fuji. Yes, they play this image a LOT. It is a nice growler and I’m sure I’ll be able to use it again in the near future. Will I go back to the Grand Table again? In a word, yes. I enjoyed my trip there. 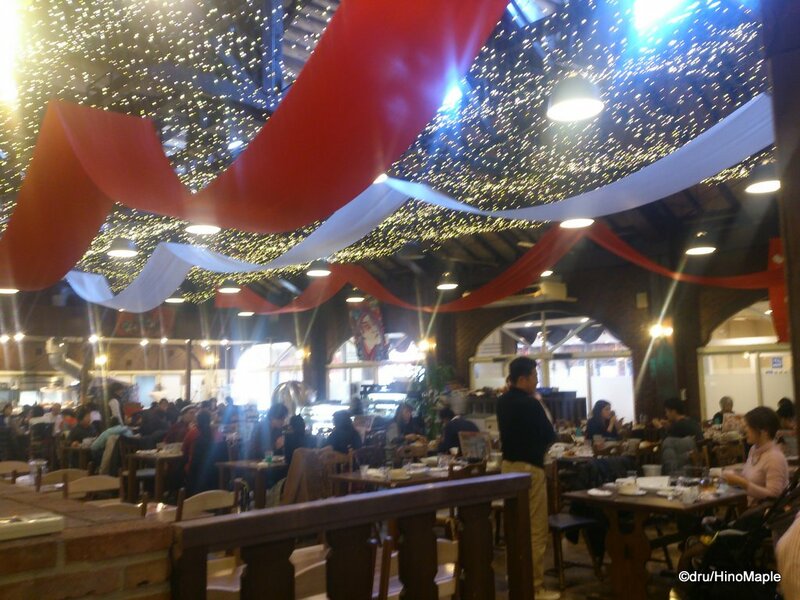 Is it worth going to Gotemba Kogen Resort just for the Grand Table? I don’t think so, but if you are in Gotemba for a day trip or even for a night, I do recommend going to the Grand Table or the other restaurants. 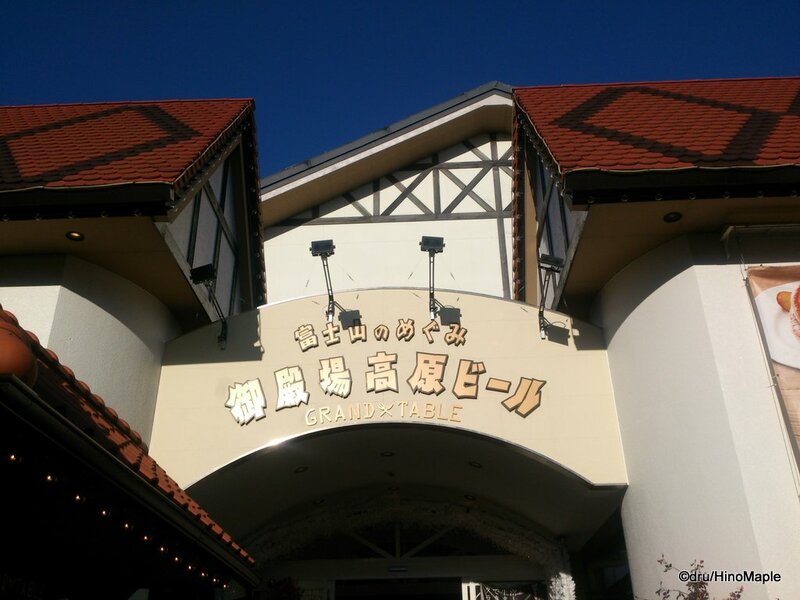 I don’t really enjoy going to Gotemba for a day trip but with Sox I can’t really take him to this resort. If I did have more time, I would consider a night at the resort to just relax and enjoy the beer and you should too! 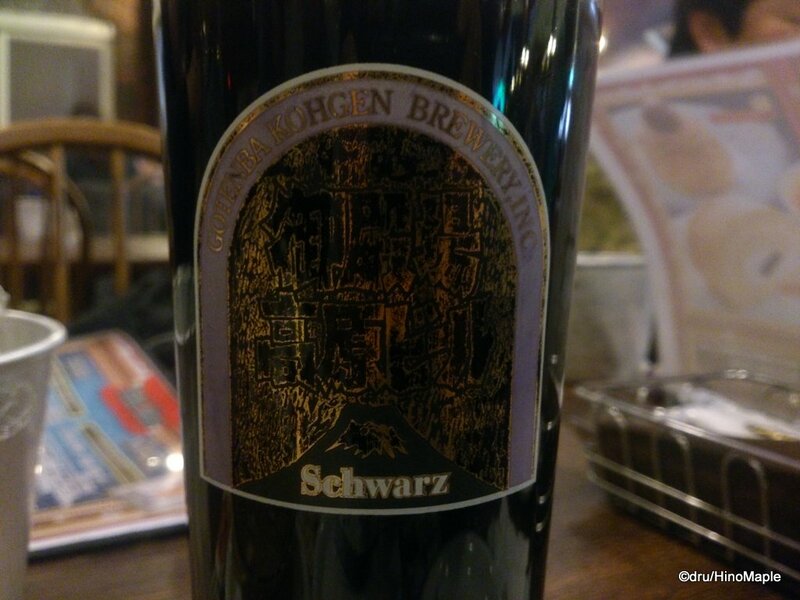 This entry was posted in Chubu Food and tagged beer, craft beer, Fuji, Gotemba, Gotemba Kogen, Gotemba Kogen Beer, Gotemba Kogen Resort, Gotenba, Grand Table, japan, Ji-Biru, Mt. Fuji, Shizuoka by Dru. Bookmark the permalink.